– Our team will focus on the race and the sailors, the surroundings and the event. We will produce high quality films with comments and interviews in English and each morning we will publish the high-lights from the previous day. We will also make a little longer film a couple of days after the race finish to summarize the event. 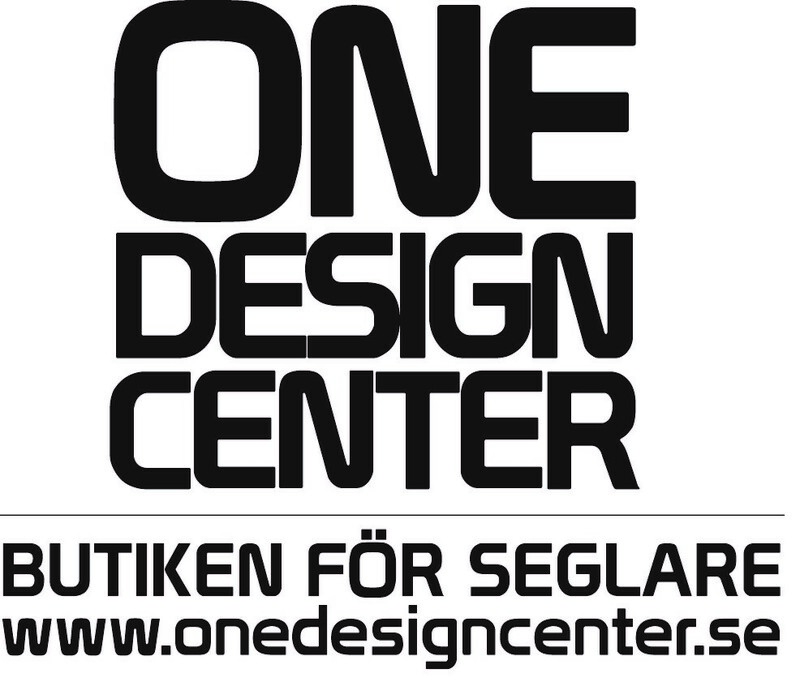 It should be good promotion both for the F18 class, the amazing Stockholm Archipelago and the event. – Hamnen.se is the biggest boat channel in Scandinavia with 30 to 110 thousand unique users each week. F18 Raid Worlds will be the main feature at Hamnen.se. We will also send the films to other online media channnels around the world for broader reach as well as to Swedish television companies. The event organisation and the F18 community will also be able to publish the material directly on their home page for future use. 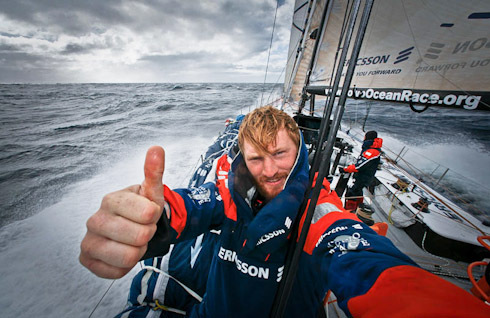 – This is great news for the event, the sailors and their sponsors. 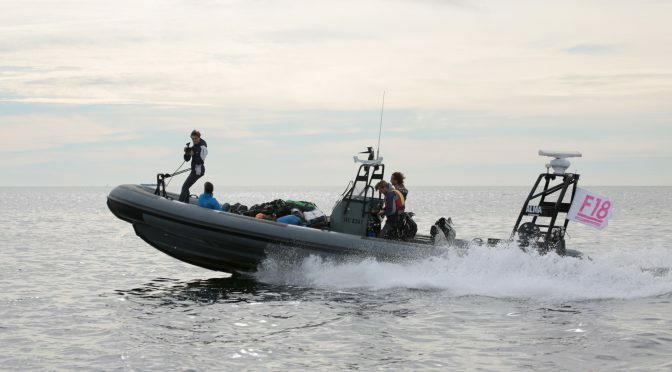 With Nautical Channel, who will make a longer televised program that will air a few weeks after the event, and Hamnen’s daily online productions the F18 Raid Worlds will be covered from all angles in different ways with high quality films. I’m very excited to have two super experienced film teams covering the event! With more than 6 months until start 27 teams from 6 countries already signed up. It also means that the national slots are not filled and all signed-up teams are accepted. From now on teams will be accepted on a first come, first serve basis. Some top sailors are among the first to register. Elke Delnooz and Jeroen Van Leeuwen (NED) are coming back, last year they were 5th overall and 2nd in the mixed class. They will be challenged by Dahl/Bodén (SWE), Sunnucks/White (GBR) and Karlsson / Nordblom (SWE) to mention a few. The Organisation of the F18 Raid Worlds is happy to announce that Nautical Channel, the Television Network, has decided to film the F18 Raid Worlds. Nautical Channel broadcast in 43 countries in 3 languages and reaches an audience of 21 Million, averaging at 1.5 million daily viewers. The Swedish Formula 18 association has signed a partnership with Stockholm Business Region (SBR). This means that F18 Raid Worlds has get support for marketing of the event and for “Stockholm – the Capital of Scandinavia”. 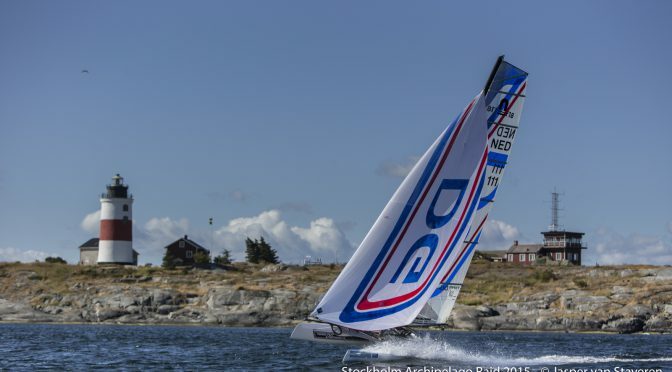 – SBR has in their decision pointed out that the F18 Raid worlds is an event that will contribute to the positive image of Stockholm and the surrounding archipelago, its water, light and environment. SBR likes the international event with international top sailors, men and women, the adventure that they will experience and the environmentally sustainable profile. – This will enable us to make professional film productions from the event both for broadcasting on TV and in online channels. I am very happy for the event and all the sailors, she concludes.